Browse a collection of more than 300 Tang Dynasty poems at the University of Virginia Library here. First compiled around 1763 by Sun Zhu who selected the poems based on their popularity and educational value. The collection has been popular ever since and can be found in many Chinese households. All editions contain over 300 poems: in this case, three hundred means not exactly 300, but refers to an estimative quantification. Some 50,000 poems survive. The Tang Dynasty (618A.D. – 907A.D.) is generally regarded as having been a Golden Age of Imperial China – and it was particularly noted for its poetry. During the Tang Dynasty, poetry continued to be an important part of social life at all levels of society, e.g. composing poems was part of the Imperial examination system or were part of the interaction at banquets or social gatherings. Tang poetry has since developed an on-going influence on world literature and modern and quasi-modern poetry; for instance, as in the case of Lǐ Bái, also known as Lǐ Bó, who was one of the most acclaimed poets not only in Tang times, but generally in the history of Chinese poetry – his influence extends as far as Gustav Mahler’s Das Lied von der Erde in which some of Lǐ Bái´s poems have been set to music. 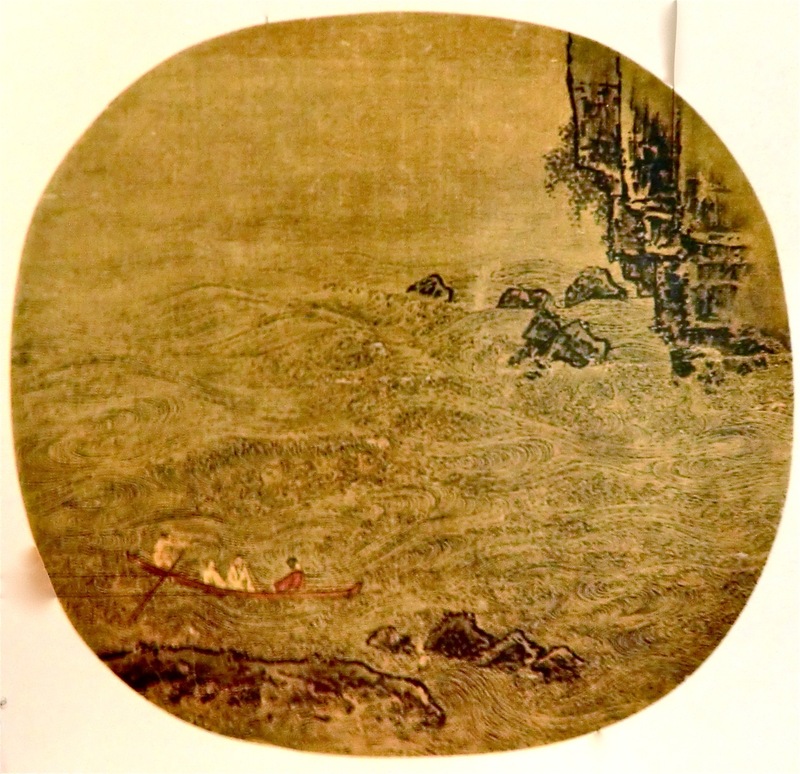 The first part of Das Lied von der Erde makes use of Lǐ Bái´s drinking poem “Bei Ge Xing” (a pathetic song) which mixes drunken exaltation with a deep sadness. “The wine in the golden cup calls us, but first let me sing you a song of sorrow which shall ring laughingly in your soul. When sorrow comes the gardens of the soul lie waste, joy and song fade and die: Dark is life, dark is death. for emptying the glass and sounding the lyre are things that go together. Dark is life, dark is death. The sky is endlessly blue, and the earth will long remain, and bloom in Spring. But you, Man, how long will you remain? Not even a hundred years shall you enjoy all the mouldering trinkets of this earth! A wild, ghostly figure crouches in the moonlight on the tombs – it is an Ape! Listen, its howling cuts through the sweet scent of Life. Now, drink the wine! Now is the time, comrades! For scholars and students: all poems in Chinese with English translation. 300 Tang Poems (basics, wiki).